Surviving Divorce Is Not Courage. Saving Lives While Risking Your Own IS. “I can’t believe how brave you are!” was my mother’s backhanded compliment. At least, I think it was a compliment. She couldn’t believe I had it in me. Not a word I would have chosen. At the time I was feeling shaken, crazy, empty. I felt like the biggest loser on the planet. My husband, All-American athlete, bright and amazing math teacher, Coach of the Year numerous times – didn’t want me anymore. Gee. Don’t let the door hit you on the way out. So, no. I didn’t feel brave. I felt rejected and stupid. My mother’s comment certainly speaks of her generation. Divorce was not common among her circles. And certainly not with children. She painted me to be this courageous woman, raising a child on my own. But leaving a highly dysfunctional marriage isn’t courageous. That’s survival. Courage is Chesley Sullenberger. He bravely landed a plane in the Hudson River, saving all the people on board, making sure everyone, passengers and crew, were safe before being the last to leave the aircraft. Courage is my brother-in-law and everyone else who serves in the military. They bravely fight for a greater cause, helping less fortunate countries become safe and self-sufficient. 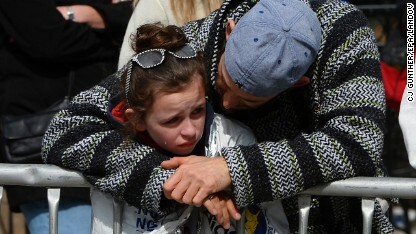 Courage lies with the people of Haiti and Greenland. Losing their homes, their lifestyles, their lives to natural disaster. Bravely rebuilding. Reaching out to others in their time of need. Courage is the woman who leaves an abusive relationship, protecting herself and her children. She bravely leaves with no prospect of a job or a way to provide shelter for her children. All she knows is that she must leave and take her chances for the safety of her children. That’s courage. Courage is the doctor who gives up his practice for a year to work with Doctors Without Borders or any other humanitarian aid organization. Working in countries ravaged by war, disaster and disease. Many times risking their lives to save the lives of others. Courage is working in the inner city schools, walking through metal detectors every day, receiving threats from former students now involved in gangs, lying on the floor for four hours with your 35 students during riots in L.A. all because “they need me.” That, my friends, is my sister and so many others out there. Not me, taking the cushy private prep-school job. Courage is exploring uncharted territory, discovering new lands and all the science and great discovery it gains. Astronauts, scientists, medical researchers handling deadly diseases, great explorers. They live courage. Surviving divorce is just that, survival. And if surviving is courage, then we are all courageous. But my bravery is not to be recognized or commended. Chesley Sullenberger. Douglas MacArthur. Missy Elliot. Dr. Leo Ho. 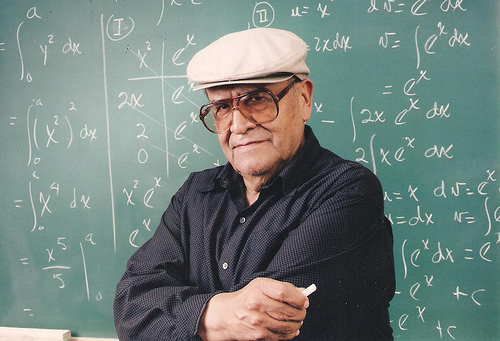 Jaime Escalante. Christa McAuliffe. Buzz Aldrin. Dr. Eliabeth Blackburn. Col. (Dr.) James Swaby. Ferdinand Magellan. Just a few of the many courageous people out there.